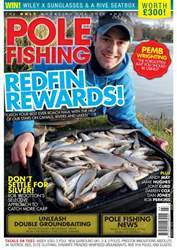 Welcome to another feature packed issue of the worlds only dedicated pole fishing magazine! 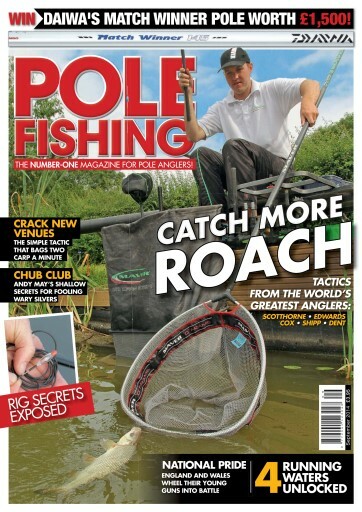 This month is our roach special, with eight features dedicated to helping you catch more of the UK’s favourite series. We also join two of England’s most promising junior anglers, as they take on their Welsh counterparts in the first of a two part head to head battle! 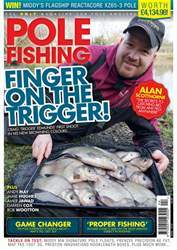 Andy May is in angling heaven, as he visits a Sheffield stillwater that is filled to the brim with chub! Meanwhile, Daiwa and Old Ghost backed ace, Mark Goddard has long understood how making lots of noise can be the best way to bring in lots of carp! Here he reveals the virtues of this balling down the edge attack! Few people understand how to catch fish from rivers better than Barnsley duo, Dennis White and Keith Hobson. 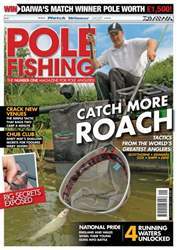 They explain how the pole has been giving them a vital edge in matches on their local River Calder. 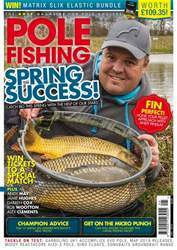 Plus, In the first of a new series, we join MAP and Drennan Barnsley ace, James Dent as he travels the world in search of fish! This month he heads to Slovenia for the World Club Championship. Buy now for all this and more, you can’t afford to miss out!